Sunday the 7th. We got up and got packed. Then headed to the ramp and headed out to a beautiful sunrise.
. On my second cast I caught a Spanish.
. 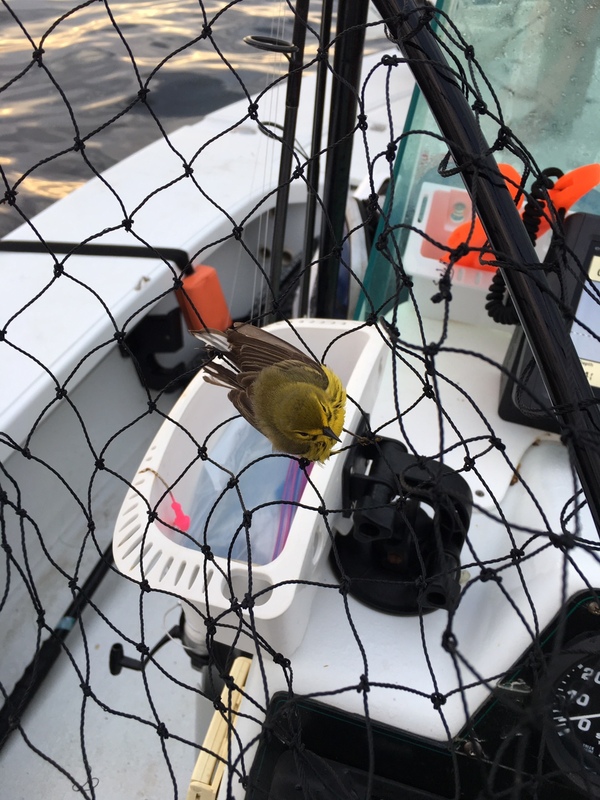 Shortly thereafter a small bird flying towards the boat does not make it and splashes down in the water by the boat. 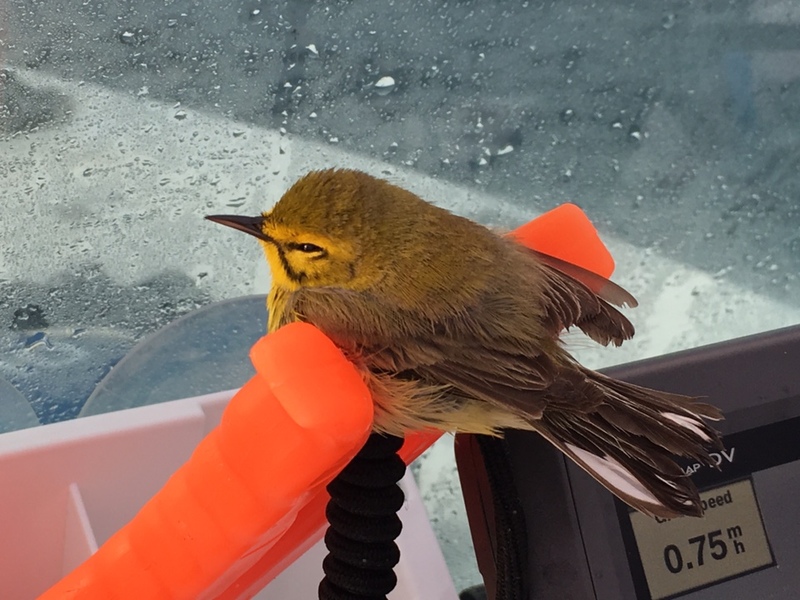 I fished him out with the landing net.
. Poor little guy looked wore out so I put him on the console to rest.
. We needed to move and I knew the little guy wasn’t rested enough so i put him inside the console while we ran. 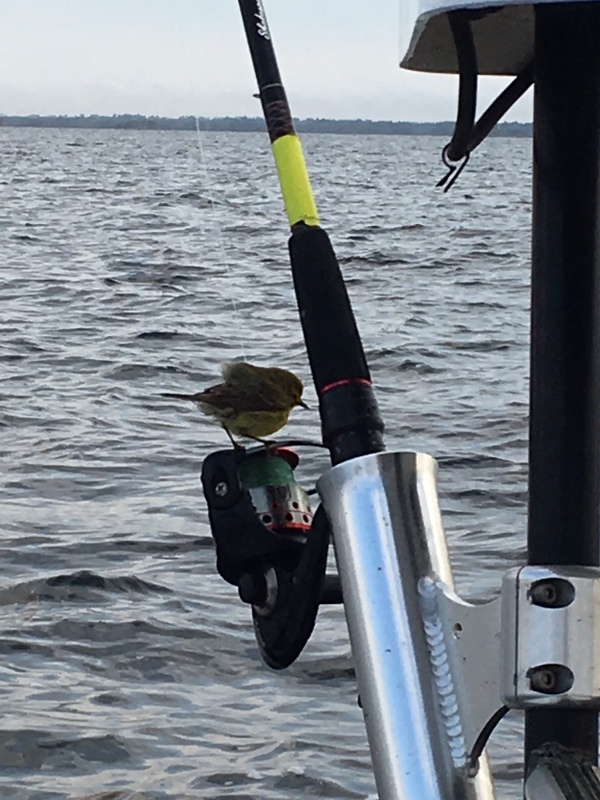 After about an hour I opened the console and he flew out landing on a reel. Then he flew off.
. 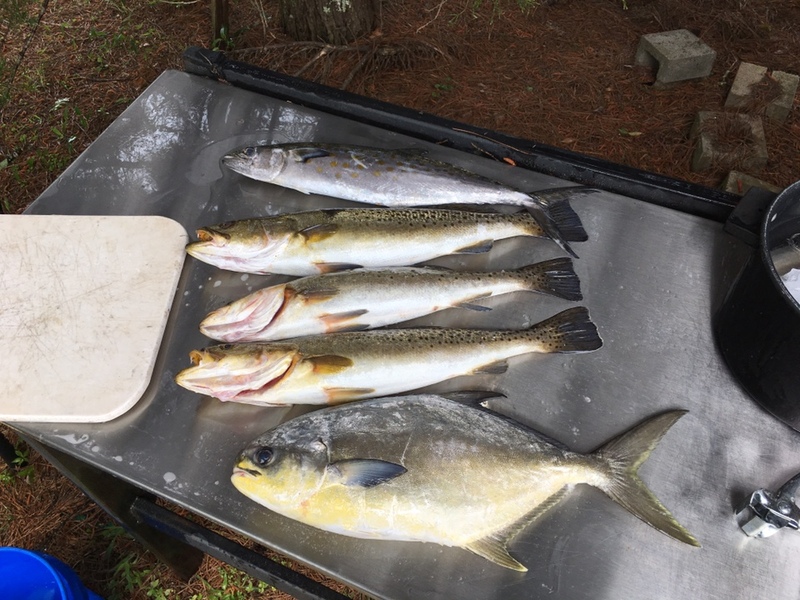 Pretty good fishing today after about 10:30 with 68 degrees water.
. We headed in at lunch with 3 trout a spanish and a pompano. Was a great trip with a good friend. Can’t wait till next year. 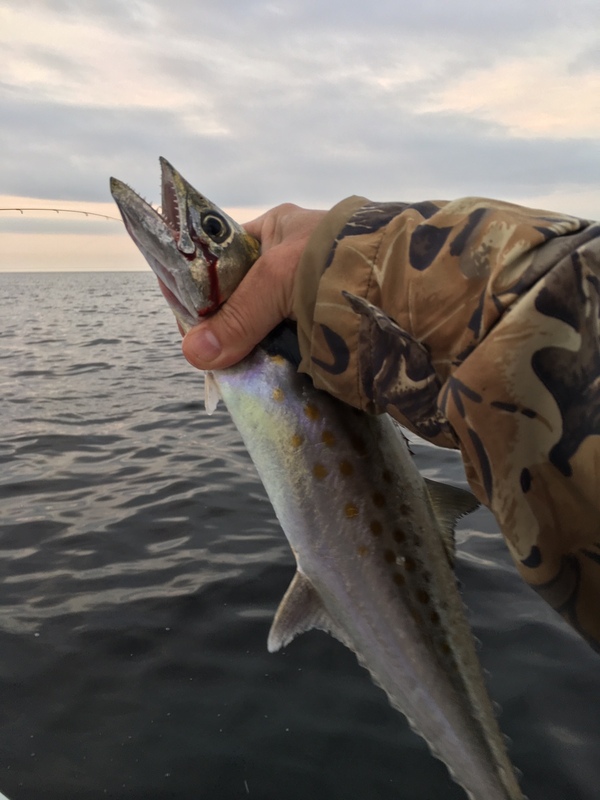 Looks like I need to try ecofina, I always fish st marks, keaton, or steinhatchee. 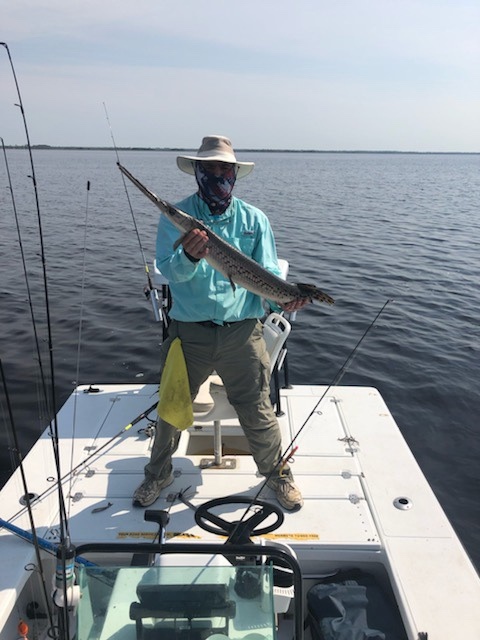 That gar eats good too, just a pain to clean. 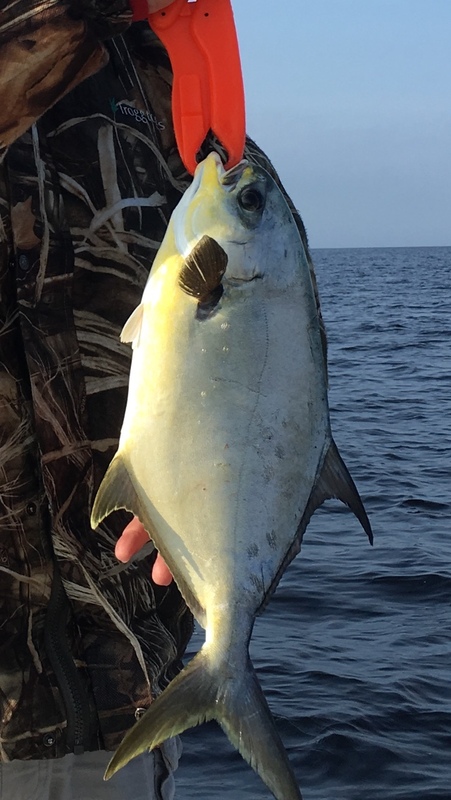 I've seen them on the flats but never caught one. Thanks for the update. 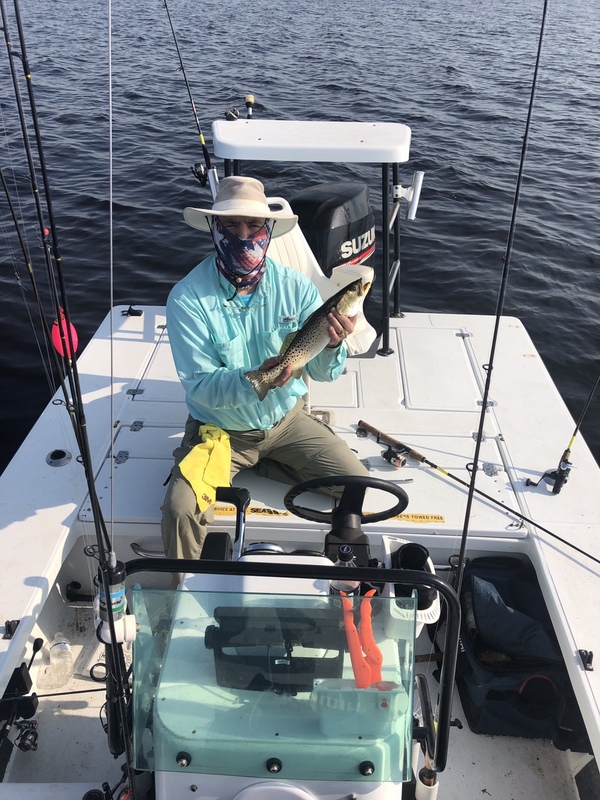 Went to Keaton Saturday and got a limit of trout even with the motor acting up.